In addition to books and workbooks, we use a lot of computer games and websites for learning in our homeschooling. We've been using ABCmouse.com for about a month now and Zeke (my 5 year old) absolutely loves it. The website is geared towards toddlers through kindergarten age children and both of mine (who are 5 and 2) have really liked it. Ellie is still a little too small to be at the computer herself but she will happily sit next to Zeke and watch him play. 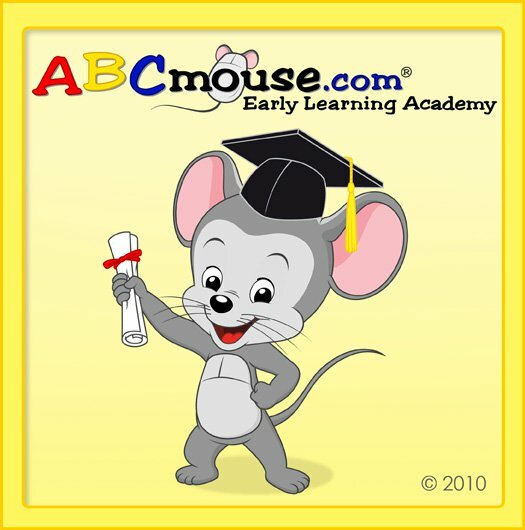 ABCmouse is a subscription website that costs $7.95 a month but with over 1000 activities available, this is worth it. You can register several kids on your account and they can each customize their fish tanks, their avatars and more. 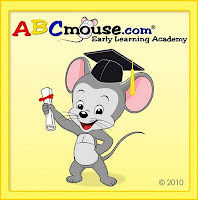 ABCmouse offers tracking tools to see what activities your kids have done and their progress is tracked individually. The kids are gently guided to different activities or they can play freely and choose whichever ones they want. I can sit with Zeke while he plays or he can easily play by himself, which is always a blessing when you have more than one that needs your attention. Zeke has been flying through the lessons and has really enjoyed the wide variety of activities. On the main screen, we see a screen that looks just like a classroom. Zeke loved that he got to make his own little avatar that looked like him and that he could "visit" all the different areas within the classroom - the art easel, the aquarium, the little kitchen, the reading corner, etc. There are SO many different things for him to do on this website that he never gets bored - and with each activity, he earns tickets to buy new things like different fish for his fish tank. I'm very impressed with the amount of things to do on this website - it's not intended to replace the school program parents already have (either public, private or homeschooling) but it would definitely help little ones struggling to learn or who'd just like to have some fun.I also found out that as a public service, the company has announced that ABCmouse.com will be available FREE of charge to all public schools throughout the United States and Canada that apply for the program. Very cool. Zeke playing with an alphabet puzzle - that's his avatar on the right. Disclosure: We got to try this website in exchange for my honest review. thank you so much i'll definitely bookmark that!